Remote worker software is a fantastic investment. Not only does it help keep your team accountable, but it also gives you insight into how your workers are spending their time, where they need more support, and which tools they use the most. Plus, remote worker software makes the payment process easier and more accurate–which every employee or freelancer will appreciate. To help you decide which option is right for you, we’ve rounded up and reviewed the top 11. Hubstaff is super easy to use both for you and your team members. It’s a desktop application, which means it’ll run silently in the background with no distraction. And if workers lose WiFi, their data will be stored on their computer until they’re back in range. The app uses keyboard and mouse activity to track working and idle time. You can see workers’ status at a glance on your dashboard, as well as their activity percentages (40% active, 70% active, and so forth). Seeing what they’re working on is simple as well. Hubstaff keeps track of which tools and websites your workers are visiting; plus, the app takes random screenshots of your team members’ screens. Also, if there are remote workers on your team who are on-the-go or have a team completely comprised of field workers, Hubstaff’s iPhone app and Android app offers built-in GPS location tracking feature allowing you to track worker locations in real time along with the time tracking and automatic payroll functions. Pricing: starts at $5 per month for 1 user. 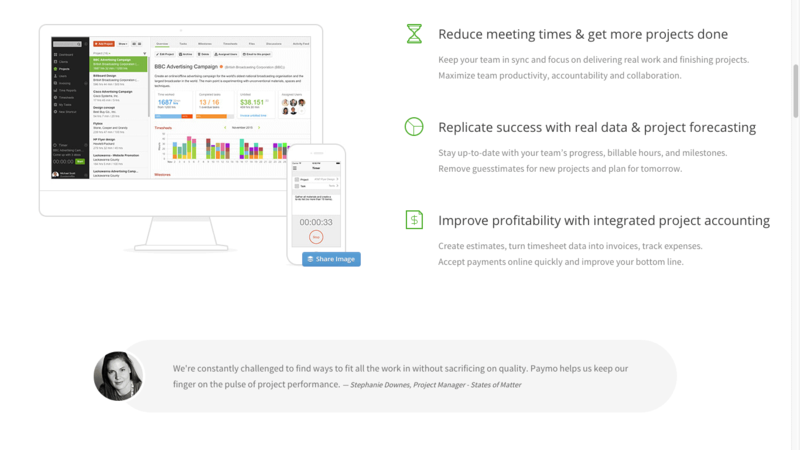 This software is primarily designed for small businesses who need to track their staff’s time. You can use it whether your employees are remote or on-site, but for our purpose, I’m focusing on the remote functionality. First, Timesheets.com offers an easy and simple way to keep track of employees’ daily work-time and monthly totals. Managers will appreciate the analytics and reporting features; plus, they’ll be able to export the data to Paychex or ADP or send it to QuickBooks. Employees, on the other hand, will like being able to categorize their timestamps, leave work notes, and request time clock adjustments. 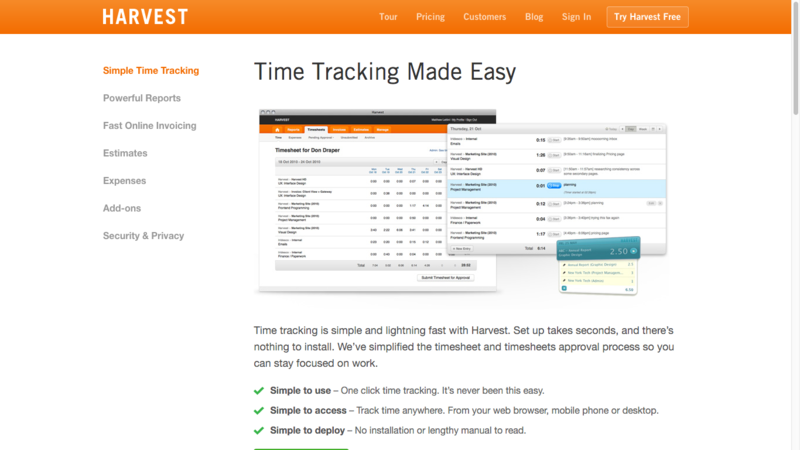 With Harvest, you can do multiple administrative tasks from a single platform. In addition to tracking their time, your employees can also submit expenses and log their invoices. Meanwhile, project managers and supervisors can combine Harvest with Forecast, a time-planning product. Once paired, they’ll see project estimates versus actuals and know exactly when a project will hit its budget. Since Harvest provides very little employee accountability, I’d only recommend it for small teams of full-time employees. If you’re hiring freelancers and contractors, you’ll probably want more oversight than Harvest provides. 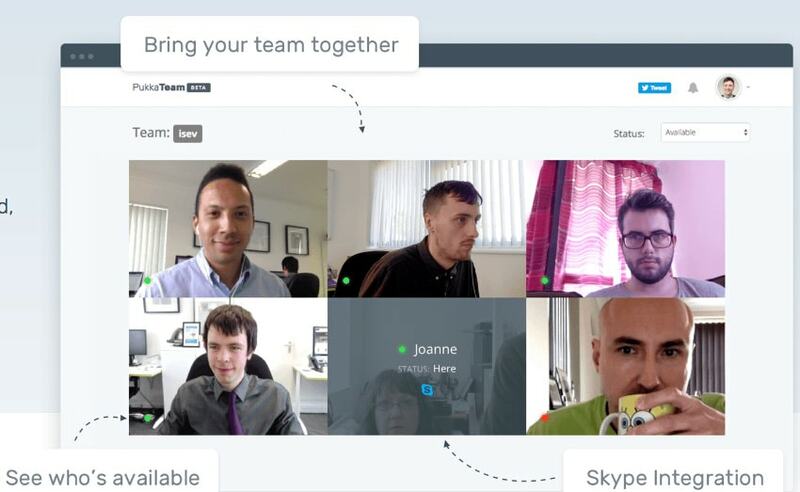 Maybe you’re looking for a tool that’ll keep your employees mentally on-track and in “work mode.” PukkaTeam could be a good option: it’s a online collaboration tool used to enhance their collaborative culture. When a user logs into PukkaTeam, she sees see headshots of her team members. These pictures are actually random snapshots taken throughout the day; not only is this a fun touch, but it motivates everyone to stick to the same general work-day. To video-chat with someone, all she has to do is click his photo. PukkaTeam makes Skype calls and Hangouts easy. Note: since there aren’t any traditional time-tracking features, I wouldn’t recommend PukkaTeam if you’re looking for detailed reports about your team members’ hours. Worksnaps is based on 10-minute chunks, or “work snaps.” You can view your workers’ time in these snaps, which include a randomly-taken screenshot, mouse and keyboard activity, and the most-used application(s). Additionally, you can assign different people to different projects and give them roles within those projects. If there are certain users that need more or less accountability, Worksnaps gives you the power to customize their individual settings. 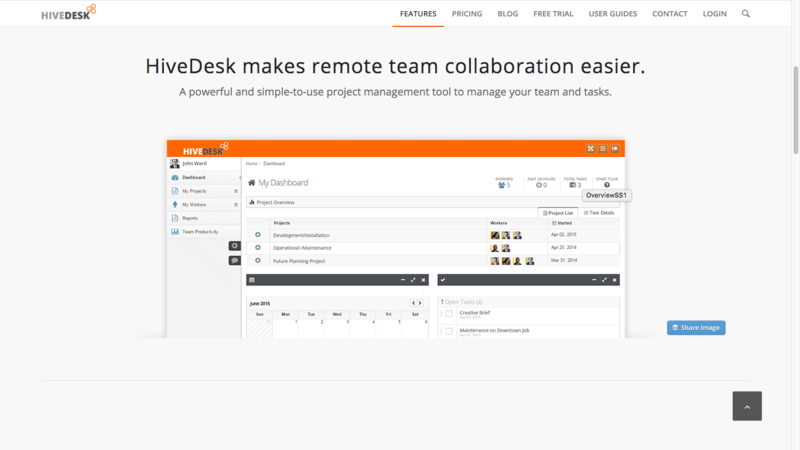 Beyond time-tracking and screenshots, HiveDesk has a couple options worth mentioning. Every worker must be assigned to at least one project. You can assign project managers, project priorities, tasks, and user permissions, which definitely will help you stay organized. In addition, you can turn screenshots on and off depending on the project–a nice touch for when, say, you don’t want screenshots for the full-time workers on Project A, but you definitely want screenshots for the freelancers on Project B. The dashboard is nicely designed, displaying a lot of information (your projects, calendar, and open tasks) without feeling cluttered or visually overwhelming. HiveDesk is missing many of the advanced features its competitors have (like GPS and location monitoring, URL and application tracking, payroll integration, budget and time limit controls, and activity levels). But if you’re looking for a very basic time-tracking tool, HiveDesk will work well. In addition, Toggl also offers billable rates. You can set these by worker (e.g., Claire earns $20 per hour) or even by project (Claire earns $25 for the Smith project). 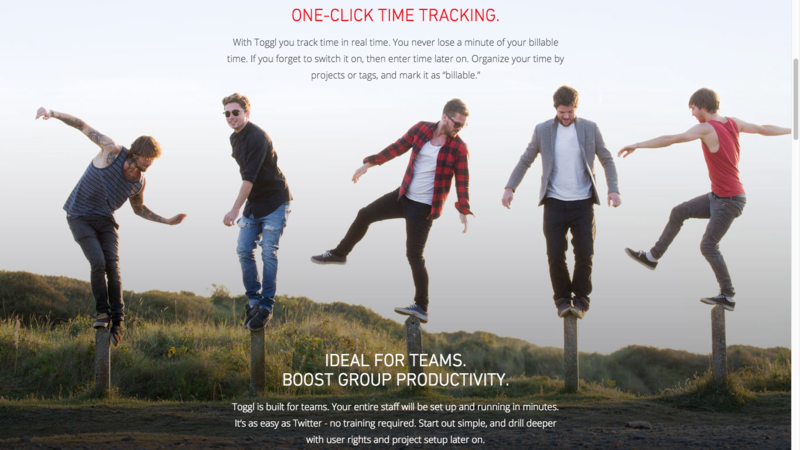 With the data you collect, Toggl creates weekly, in-depth, or summary reports. Just upload your logo and send them straight to the client. 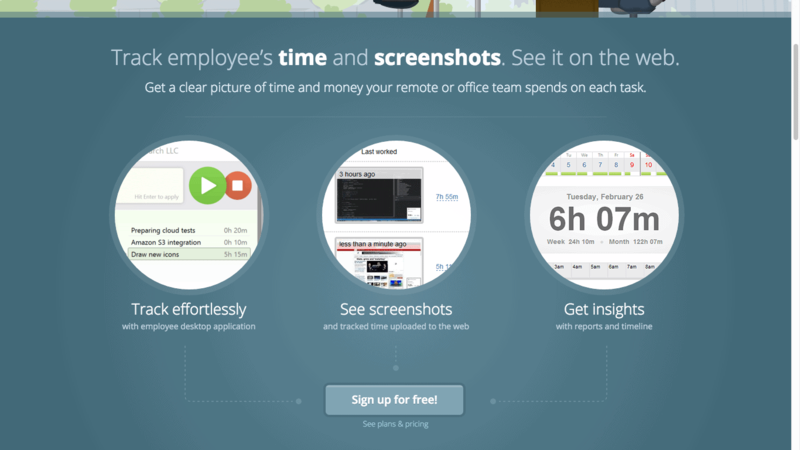 Unlike many of the choices for remote worker software, Toggl doesn’t provide screenshots. 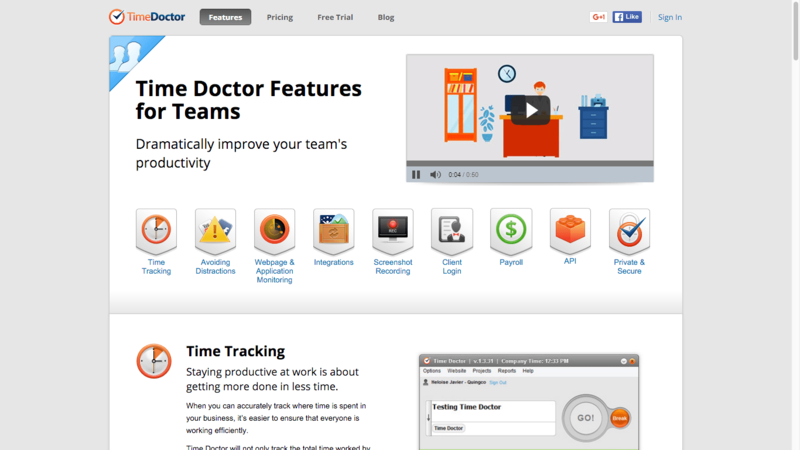 To use Time Doctor, your employees download the desktop app. Whenever they start or stop working, they simply press the timer, and the app will record how much time they’re spending on each project, client, or task. Let’s say that one of your freelancers, Carl, takes a break by going on Facebook. He forgets to turn off his timer. After five minutes, Time Doctor will send Carl a “nudge” asking whether he’s still working. Depending on your team members’ personalities, this feature will either be helpful–or off-putting. Screenshots are randomly taken while employees are running the timer. If a screenshot is taken and a worker decides he or she wants to delete it, Time Doctor lets them; however, that time is deducted from their work hours. You can set Screenshot Monitor to take periodic screenshots while a user has the timer running, or install “Autostart,” so it starts taking screenshots whenever the computer is on. On their dashboard, admins can see the dates and times each employee has worked, who’s currently active, and every person’s most recent screenshot. Employees create their tasks, rather than you creating and assigning tasks. On the one hand, this removes some of your work-load. On the other, it assumes that employees have a clear sense of what they should be doing every hour–which isn’t always the case with contractors. Unlike the other options on this list, ActivTrak is invisible by default: If you don’t tell your employees you’re using it, they won’t know. However, you need to have administrative rights over the computer you install it on. So, for obvious reasons, ActivTrak won’t work for any freelancers you’ve working with. ActivTrak is free. However, it only works on up to three computers. Small and medium businesses in a variety of industries (from legal services to architecture and construction) use Paymo, a project management app. Paymo is organized around individual projects, so in your dashboard, you’d see Project #1, Project #2, Project #3, and so on. These projects are divided into sub-tasks and can be assigned to individual users. Here’s where Paymo’s time-tracking comes in: To start the timer, a user needs to be working on a specific project and related task. Employees can access the timer via the web, a desktop app, and even PaymoPlus, an app that runs on their computer all the time. 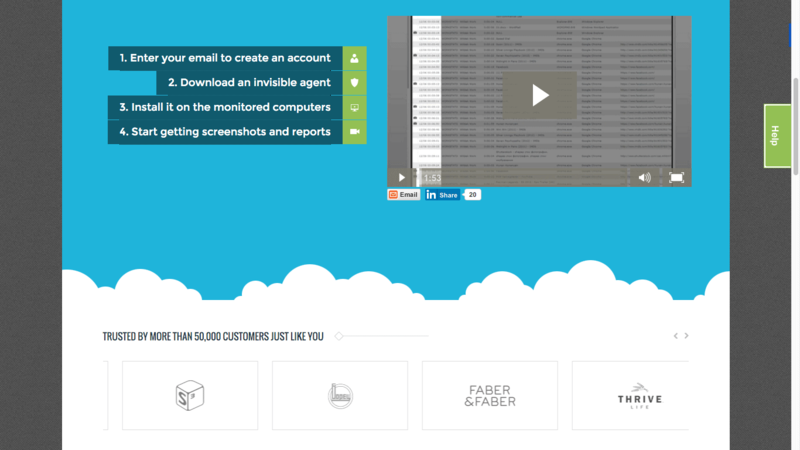 Furthermore, Paymo offers automatic invoicing and timesheet reporting. 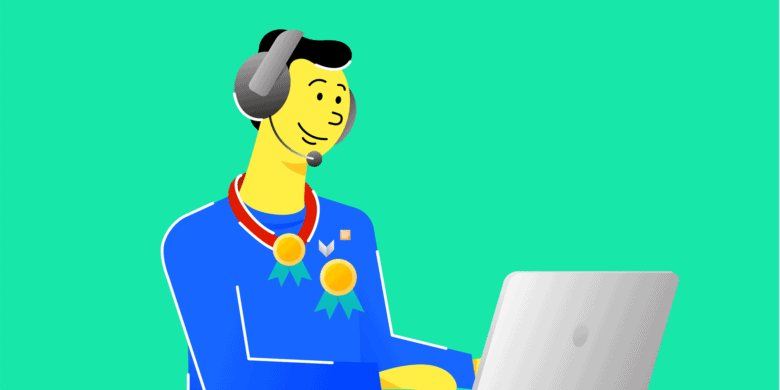 What’s your favorite remote worker software? Do you use any of the tools above? Or is there a tool that we missed including in this roundup? Let us know your thoughts in the comments below.